The couple involved in a fatal shooting Saturday at a Bellevue apartment complex had a lengthy history of violence. Jessica Cothon, 29, shot the father of her two children after she says he physically attacked her about 4 a.m. at the Hallmark of Bellevue Apartments on River Road. Anderous Reid, 39, died from a gunshot wound to the chest. Cothon hasn’t been charged in connection with Reid’s death, and Metro police say this is one of those cases where a grand jury will likely decide whether to prosecute. Anderous Reid, 39, was shot at approximately 3:30 a.m. by Jessica Cothon, 29. 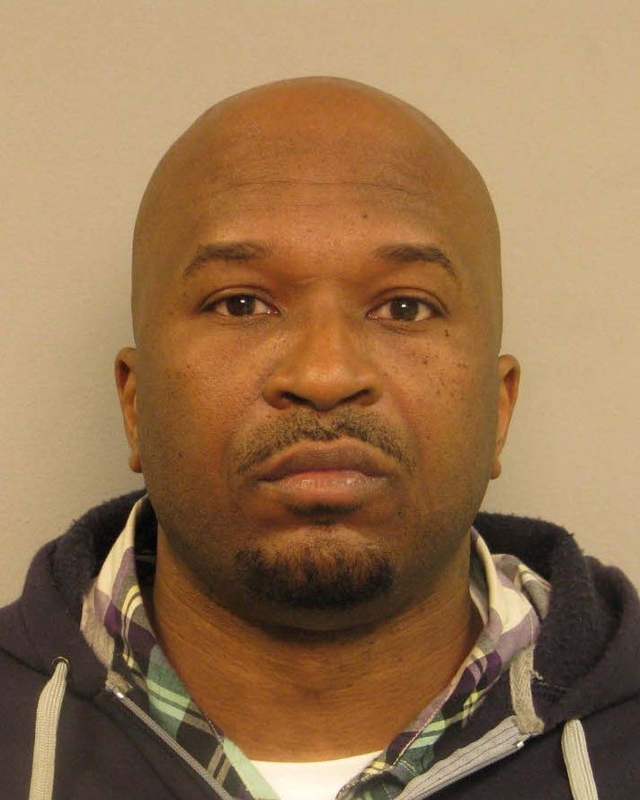 West Precinct detectives are continuing to investigate a West Nashville woman’s report that she fatally wounded her boyfriend in self-defense during an overnight domestic-related fight inside their River Road apartment. Anderous Reid, 39, was shot at approximately 3:30 a.m. by Jessica Cothon, 29. Also home at the time were the couple’s two children (three-year-old girl and six-year-old boy), Cothon’s 11-year-old daughter, and Cothon’s mother. Police department counselors responded to assist the children. Cothon was fully cooperative with detectives and said that Reid was physically attacking her in a bedroom when she retrieved her pistol and fired. Reid was hit in the midsection and died at the scene. No charges are being placed against Cothon at present. The case file, as a matter of routine, will be sent to the District Attorney’s Office for review at the conclusion of the investigation. This entry was posted in Dead, Domestic Violence, Man, Tennessee on December 28, 2013 by usgunviolence. (WMC-TV) – A Clarksdale man was shot and killed outside his family’s business late Thursday evening. Davis Goon, 61, was found by his father outside of the family’s grocery and liquor store near Issaquena Avenue in Clarksdale with a single gunshot wound. Investigators think the suspect took off on foot after the shooting shortly after 6 p.m. Clarksdale police are asking for tips to solve this crime. Clarksdale Police have arrested a third suspect in connection with a shooting death that occurred on Dec. 26. Twenty-three-year-old Cedric Collins turned himself in over the weekend. Police say Collins is charged with one count of capital murder in the death of Davis Goon and is being held in the Coahoma County jail on $500,000 bond. Fifteen-year-old Just Booker and 17-year-old DeShawn Shields have also been charged with capital murder in the death of Goon. They are being held on $250,000 bond each. The 61-year-old Goon was shot outside his family’s grocery and liquor store in Clarksdale. This entry was posted in Dead, Man, Robbery at Gunpoint, Tennessee on December 26, 2013 by usgunviolence. (WMC-TV) – Investigators arrested three suspects in a Thursday afternoon murder in the Coro Lake area, according to court records. Mark Whitely, 24 , was booked Friday. He admitted he helped plan and execute a robbery at a house in which Tyler Gurien was shot and killed by another co-defendant. Jonathan Bolden, 28, was arrested first, and Ryan Winston, 21, was also arrested. All three suspects are charged with first-degree murder in perpetration of a robbery. Police say Bolden, Whitely, and one other people went to Gurien’s house intending to rob him. While there, one of the individuals pulled out a shotgun and shot Gurien. Police say Bolden admitted his participation in the plan to rob Gurien. Bolden is scheduled to be in court Monday morning. Memphis police were called to the house Thursday afternoon after neighbors reportedly found a man’s body in a blood-covered basement. According to police, this latest trouble began about 2 p.m. on Dec. 26 in the 4800 block of East Shore. Responding officers found Gurien in a puddle of blood in the basement of that house. He was pronounced dead on the scene. Investigators determined that Whitely, Winston and Bolden were responsible for robbing Gurien, then killing him with a shotgun, police said. All three remain jailed. Memphis police are investigating a shooting that left a 19-year-old Memphis man dead, the police department said in a statement Thursday. Police said the shooting occurred Monday at the Aspenwood Square Apartments, 3295 S. Mendenhall Road. When officers arrived, they found Walter Davis lying on the sidewalk and suffering from a gunshot wound. Davis was taken to the Regional Medical Center, where he was later pronounced dead, authorities said. This entry was posted in Dead, Man, Tennessee on December 23, 2013 by usgunviolence. BLOUNTVILLE — Sullivan County Sheriff Wayne Anderson said Monday that his department’s investigation into a weekend shooting death continues, and whatever it uncovers will be sent to the Sullivan County grand jury. Anderson said so far the investigation indicates the dead man, Robert “Bobby” Lane, 55, 125 Rocky Lane, asked his brother Richard Lane, 57, to meet him at their childhood homeplace at 117 Rocky Lane and to be there no later than 6 p.m. on Saturday. Rocky Lane is in the Bloomingdale community. Anderson said the two men had been involved in an argument over property, either the homeplace or adjoining land, and Bobby Lane told Richard Lane he would have the sheriff’s office there for their meeting. Anderson said when Richard Lane arrived at the unoccupied home, which is under renovation, no one was present other than Bobby Lane. Neighbors were home, though, Anderson said — and it was neighbors who first called police to report a shooting at 5:55 p.m. But Richard Lane also called 911 to report the shooting at 6:01 p.m., Anderson said. Shortly after Richard Lane exited his vehicle, Bobby Lane hit him in the head with a piece of granite or marble — and Richard Lane then drew a .45-caliber pistol and shot Bobby Lane, who died at the scene, Anderson said. More information is being released on a fatal shooting that happened over the weekend. Sullivan County Sheriff Wayne Anderson tells News 5 Robert “Bobby” Lane of Kingsport died at the scene from gunshot wounds. The Sullivan County Sheriff’s Office tells us the fight happened Saturday at a home on Rocky Lane in Kingsport. When deputies arrived they found Robert Lane’s body lying in the front yard of the house. Investigators say his brother, Richard Lane, is the man who shot him. Sheriff Anderson tells us the two brothers were arguing outside of the home, then it got violent. “Bobby had a piece of marble or granite, and as soon as Richard stepped out [of his vehicle], he hit him and knocked him to the ground. Then Richard pulled out a weapon, a .45 semi-automatic [pistol]. He fired several [rounds] and struck Bobby Lane,” said Sheriff Wayne Anderson. The victim’s brother has not been charged in the shooting. This entry was posted in Dead, Domestic Violence, Man, Tennessee on December 21, 2013 by usgunviolence. This entry was posted in Dead, Domestic Violence, Multiple Shooting, Murder-Suicide, Suicide, Tennessee, Woman on December 21, 2013 by usgunviolence.